Of late I have been spending a lot of time on Twitter. No, no, I am not wasting my time reading tweets with infuriating tags like “Women Are Trash” and bashing every single one of them for posting such nonsense (although, I wish I could do that!!). Indeed, over the past week, I have gained more than 1000 followers on Twitter and I am happy to say that they are all Writers and Authors. This is the most awesome, amazing, and supportive group of people I have ever seen in any social media. These people, all Writers, are available at your beck and call in the #WritingCommunity whether it is advice you need (writing related or not! ), a beta-reader, editor, reviewer or simply a shoulder to cry on when one of those (much dreaded) rejection letters arrive after week/month/year long querying! I was in awe when I saw how earnestly the writers support each other to promote their books and writing. Being a newbie to the #WritingCommunity and Twitter in general, I was intrigued when I saw the tag #IndieApril. I followed tweets with using the tag to learn more and found out that Indie April is the month for promoting Indie writers and/or independent publishers. I am sure this is probably a thing in other social media platforms like Facebook, Instagram as well but this was the first time that I came across something so wonderful. Obviously, I wanted to do my bit to support the Indie Authors. So, I posted a tweet asking for suggested books from Indie authors that I could buy for my April Reading List. The idea was to choose 10 Indie books from 10 different genres for my Top 10 Tuesdays feature. Well, I got so many many recommendations and suggestions that it took me a while to choose. Needless to say, my reading schedule is swamped for the next 3 months at the very least! I have selected one book from each of the 10 genres. Full disclosure – these are books that I found interesting after reading the blurbs and have become part of my April reading list. I cannot review them until I have read them! Without further ado, here’s my pick for #IndieApril…. Of course, I had to start with science fiction. No book list of mine is ever complete if I do not have science fiction added to it. There were quite a few interesting submissions that I was finding it hard to make a choice on which one I would put on here. After pondering for a while, I chose to go with Old Man Odyssey by Kyle Fleischhacker. Fantasy is one of the most popular genres for reading as well as writing! I was overwhelmed by the number of submissions from fantasy writers. Each one so interesting that I couldn’t wait to get my hands on the books! After much deliberation, I decided to feature Arcana of the Crimson Era: Red Moon by Sein Ares. Read the first few lines from the synopsis and tell me if you do not find this intriguing! To be honest, I was not sure if I would get any submissions in this genre but was pleasantly surprised to find more than a few submissions. For my reading in this genre, I chose Rooted by Cassandra Chaput. Reason? 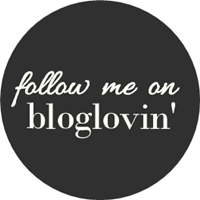 I am a big supporter focusing on mental health, self-improvement and healing from heartbreak…cue my blog’s name! Of all the submissions that I received for the nonfiction category, I knew the moment I saw J.D. Simmons’ Lately Lesbian, that it was my pick for this category. For one, I have not read anything in the LGBT nonfiction category and two this year I am pushing myself out of my comfort zone and reading different books that portray views I am not aware of. OK, I am not a big fan of Romance novels, so this one is definitely pushing me out of my comfort zone. But then again, for someone who claims is not a romance fan, my favorite author is Jane Austen and favorite book is Pride and Prejudice! Well…. Of the many submissions I received I decided to go with Her Lucky Charm: A Second Chance Romance by Amelia Kingston because I believe in second chances! “At twenty-eight, Samantha Cane was well on her way to achieving everything on her thirty-year plan. A great job. A beautiful apartment. An uncomplicated life. She was months away from becoming the youngest partner at her prestigious law firm and finally having everything she thought she wanted. Good literary fiction books are hard to find, sometimes hard to read yet hard to put down! My prediction for J.R. Alcyone’s Five Fathoms Beneath is that it is going to be in the hard to put down category. Five Fathoms Beneath is “An inspiring and thought-provoking literary novel about the invisibility of mental illness, overcoming obstacles, and the power of hope. Trigger Warning: Five Fathoms Beneath is a realistic story about suicide, an important public health issue. The novel may contain scenes and descriptions which are upsetting to some readers. Surprisingly, there were very few submissions in the thriller genre. However, Ellipsis by Nikki Dudley, was more than enough to make up! Read the blurb and you will agree with me! ““Right on time,” Daniel Mansen mouths to Alice as she pushes him to his death. Haunted by these words, Alice becomes obsessed with discovering how a man she didn’t know could predict her actions. On the day of the funeral, Daniel’s cousin, Thom, finds a piece of paper in Daniel’s room detailing the exact time and place of his death. Mystery is another one of my favorite genres. I received more than a few suggestions for this as well. The Third King: Coronation by Brian D. Campbell is what caught my interest for this month’s reading. When Author Beth Caruso told me that her book One of Windsor: The Untold Story of America’s First Witch Hanging is based on real life events that happened in the earlier days, I knew I wanted to read this one! Thus, One of Windsor became my pick for the Historical Fiction category. While these are my picks for the above-mentioned genres, I am also reading a couple of other books as a part of read and review! Watch this space for some reviews! What about you? Would you read an Indie Author’s book? If yes, which of these genres would you be interested in reading? Let me know in the comments! Disclaimer – This is not a paid promotion. This is simply one writer trying to support few other writers! The links will take you to the respective author’s amazon page if you decide to buy any of these books. Hi there-nice to meet you and nice to see familiar new names here. Glad you found my poetry blog. Nothing better than healing from heart-ache! I also can’t do horror. The very first Nightmare on Elm Street-still classic. Old Twilight Zone-that is as much horror as I can stomach. That’s funny! I like a story that gives me goosebumps, or takes me in a direction I wasn’t expecting. A very thoughtful post and gesture. That was so kind of you. I love the sci-fi and thrillers, so thanks for the suggestions. Looks like you and I have similar genre preferences…I love Sci-fi, thrillers, mystery, and fantasy. I also occasionally enjoy a non-fiction! One genre I can never read is Horror! It creeps me out and I will be up all night super scared! We have the exact same preferences. Smiling. This is too funny. Hehehe! I will update you as and when I finish reading each one.